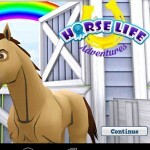 Exciting horse game apps for iPhones, iPads and iPods are all the rage. 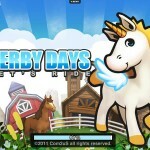 Easy to download and learn how to play, iPhone horse games allow you to take your favorite games with you wherever you go. 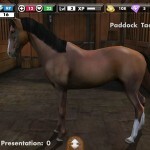 From English style horse racing to relaxed Western trail riding competitions, horse games for iPhone users are plentiful. Spoil your horses with treats, buy glitzy outfits for shows or learn how to breed and train your best with high-tech apps designed for great gaming fun. Keep in touch with all your horse friends around the globe while you travel so that you don’t miss a beat!